The shell of the lens is a durable metal composite material, with a rubberised focus ring. If you have used a Zeiss Batis lens before, you know what to expect. It’s like the 85mm but a bit larger. Not everyone likes the focus ring material on Batis lenses. I find it comfortable to turn, but actually locating the ring by touch alone is trickier – it’s not as easy to find with your fingers as a heavily ribbed ring. I work in a very mild climate and rarely wear gloves. But I think if you were wearing gloves while trying to tell where the focus ring is without looking, it would be very hard. But the overall build quality is of the highest standard; and the use of various composite materials internally keeps the weight down, and very likely the strength up. It’s impressively light for its size. It comes, like all other Batis lenses except the Batis 2.8/18, with a 67mm filter thread. The manual focus is focus by wire; opinions vary a lot about this. I have finally got used to it, and rather like the better implementations, of which this is one. It’s possible to make big changes quickly by rapid movement of the ring, and fine tune focus very precisely with slow movements. This system does require learning though if you are used to linear travel on focus rings. The OLED focus scale is of some use, though it’s not perfectly accurate. But it really helps in getting your focus into roughly the right area before fine tuning, without having to look in the viewfinder. It’s great for people whose instinct is to look at the lens while focussing. The DOF scale is of limited use on a lens of this focal length. It is possible to set infinity accurately by starting on the the close side of infinity, and focussing further away, stopping immediately when you first see the infinity sign. If you keep focussing you will be past infinity, even though the infinity sign is still displayed. The AF seems very good. Completely silent, and generally quick and accurate. On the A7rii, though, it does depend on PDAF points – when your af point is one of the CDAF only points on the periphery AF-C doesn’t work well. It’s excellent over most of the AF area though. The other caveat is that the AF can hunt a little if you start with deep defocus; but this is just the fast tele problem on A7rii. I’d expect much better performance on A9 and future Sony bodies. Eye AF is just like magic. It works especially well, perhaps because of the contrast. This makes portrait sessions incredibly stress free – you just press the button you have assigned to eye AF and take the image. It’s much smaller than the big modern F2 and faster lenses; but it’s not tiny or featherweight either. 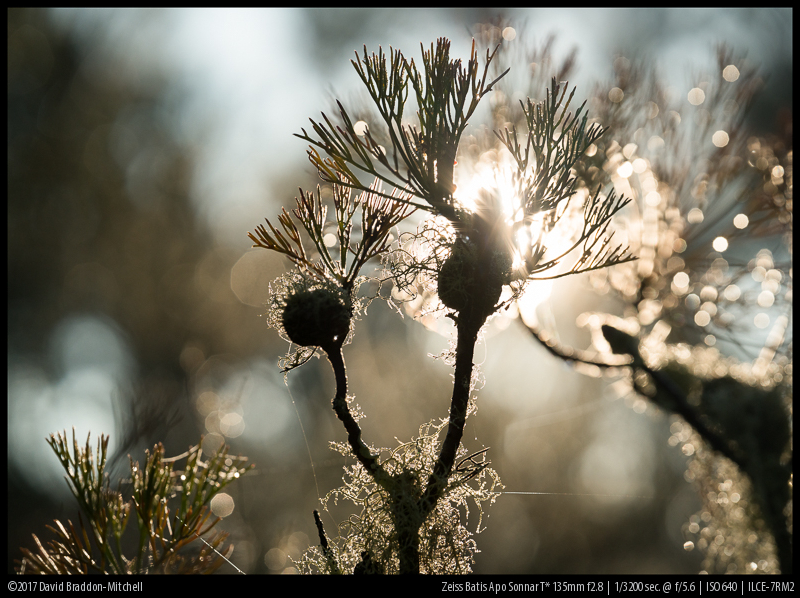 The Batis 2.8/135 is very similar in terms of dimension and weight to the Sony 2.8/90 macro. This places it right on the cusp of portability for me. I have carried it all day comfortably, but I wouldn’t want it to be any bigger or heavier, and taking it on a trip means leaving something else behind. I have never taken a 2.8/70-200 or a 2/135 on travel of any kind, but I do plan to take this lens on four weeks of travel in the Northern Hemisphere this summer, and that will be the real test of whether this lens is worth the rather high price. I’ll report back in late July about that! As you can see the lens is middling in size: much larger than the tiny Zuiko 3.5/135 and a little smaller (but significantly lighter) than its Zeiss big brother, the Apo Sonnar 2/135. OM Zuiko 3.5/135: 439 grams (note that a legacy 2.8/135 will weight more). Carl Zeiss ZF2 2/135: 1.28 kg (the Milvus version weighs about 100g more). These crops are at very close to infinity: actually 850m which is just before the lens gives the infinity sign. Even a 135mm lens is unforgiving of focus at long distances. It’s possible to tell, at 1:1, that the corners are different from the centre at wide aperture; but the difference is small and completely goes away just a tiny bit further towards the centre (these crops are only 250 pixels or so wide, so a tiny proportion of the diagonal of the frame). By f8 the difference just about vanishes on close inspection. But at any aperture the performance across the field is exceptional. Of course that’s not something to get too obsessed with – some of the competing modern lenses would be hard to distinguish in sharpness terms in field use, and plenty of legacy 135s would be sharp enough for practical purposes. But it is confidence inspiring to know that you can choose aperture purely for creative reasons, never because you need stopping down for more quality. A very useful magnification ratio; 1:4 would be even better, but you can get a very close face crop, and at 0.87 metres you can get close enough for lots of work that you might otherwise use a macro lens for. Performance seems unaffected by the close focus. This is remarkable performance; just as sharp at close distance as at infinity. It suggests that use of extension tubes to get a useful semi macro with a longer focal length than most macro lenses might give good results, but I have not formally tested this. The Batis 2.8/135 has optical image stabilisation, which on a body which has IBIS works together with the camera, the lens stabilising two axes and the camera three. I compared the results with stabilisation on a manual 135mm lens (the Olympus) using IBIS alone with the focal length dialed in manually. 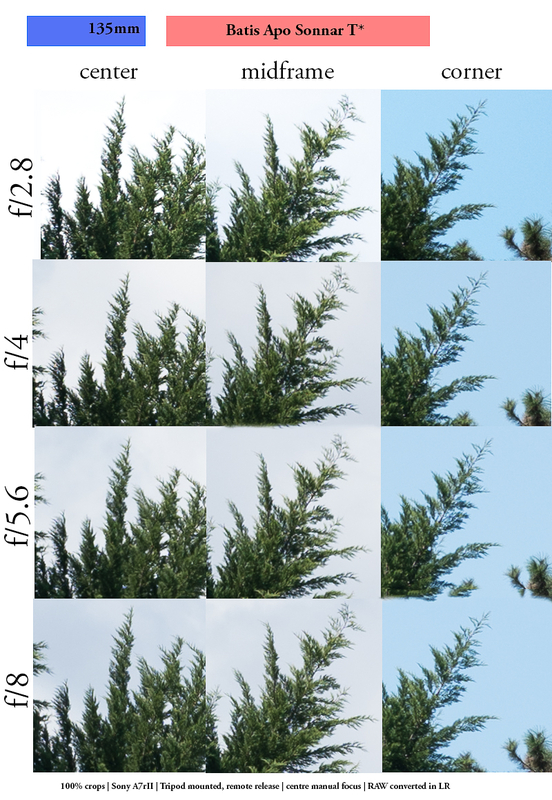 Results are very similar between 1/60 and 1/250 of a second (on modern high resolution bodies I regard (1/2 x focal length) as the same minimum handholding speed, rather than the traditional (1/focal length). But at very low shutter speeds the Batis-A7rII combination reliably produced occasional critically sharp images, long after the other lenses were no longer able to do so. Indeed at 1/4 of a second perhaps 15% of images where critically sharp. This may not seem many, but it is very useful. It means that with static subjects and no tripod, you can take a burst of ten images at 1/4 second and be fairly confident there will be a keeper in their midst. There will be times when the alternative is a substantial ISO boost or no worthwhile image at all. I have not tested the lens on a body without IBIS to see if the synergy is indeed better than OSS alone. 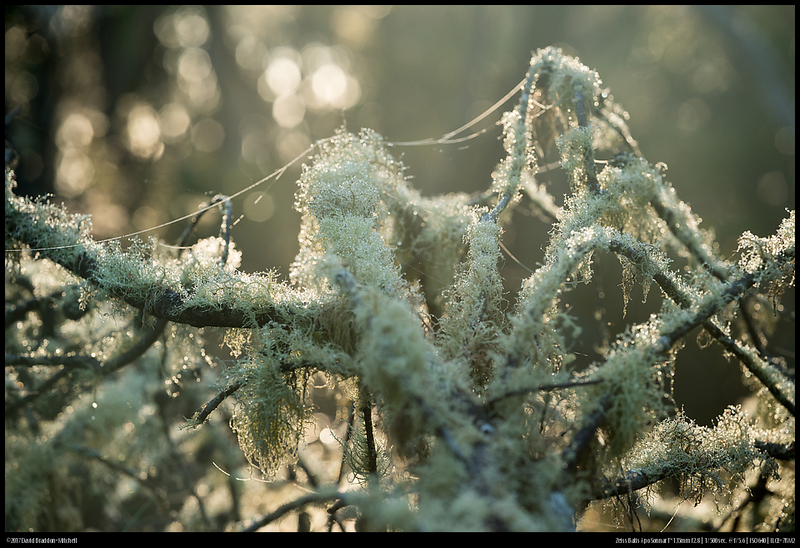 Two questions arise when considering the bokeh of this lens; quantity and quality. Now you can judge if you think the difference is a deal breaker. For what it’s worth yes I prefer the f2.0 background in this image, but the difference is not enough to make me carry a significantly heavier lens with me, even if I might use the faster lens in and around home. 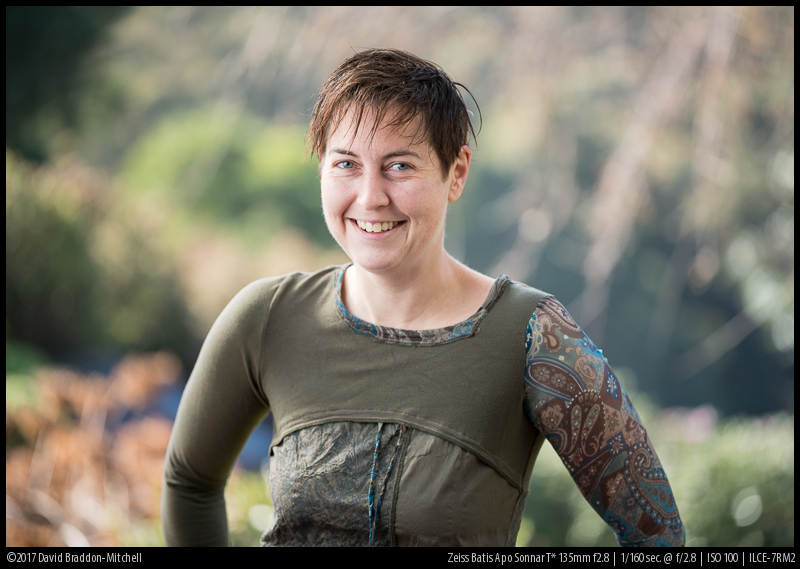 Another factor is that in these two images, the extra depth of field of the f2.8 image is quite welcome on the subject herself, even if not on the background. One thing to bear in mind is that the above test is a best case for the faster lens. The background is very distant, and this is where speed differences have the greatest effect on bokeh. With a background one to three meters away the difference would be much less. Now on to the quality of the bokeh. Lovely – in part because of the almost perfect colour purity of it (more on this in the chromatic aberration section). One interesting thing to note is that in the bottom right of these two images you can see an oval “cats eye” highlight that is exactly the same shape on these two images. Presumably Zeiss have a standard of mechanical vignetting wide open that they have applied to both lenses. Of course the f2 version will be rather better at f2.8. Bokeh balls remain circular up to f4; at f5.6 and smaller they are visibly nonagons. The lens has nine slightly curved iris blades. A lens this long could (if only to reinforce the super premium aura) have benefited 11 or more blades. 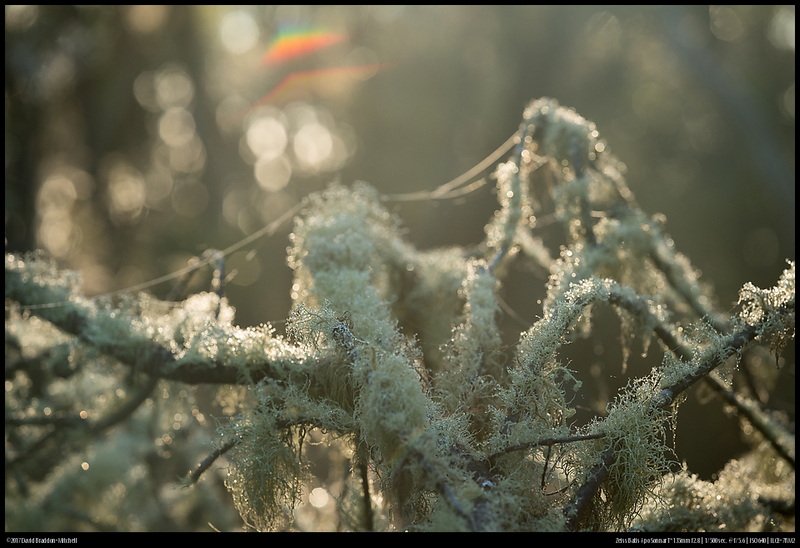 Finally here’s an image which is a torture test of “swirly bokeh”: i.e. 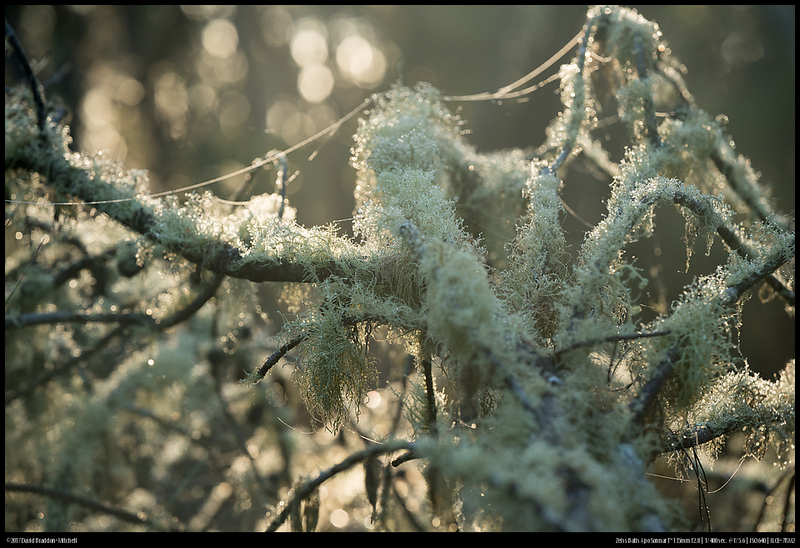 the extent to which mechanical vignetting can create a swirly look in the bokeh. The orange tree manages to make bokeh look swirly on most lenses, so this is a good worst case scenario! There is no visible lateral chromatic aberration (LaCA). But like all native FE lenses there is an automatic profile applied in ACR/LR which corrects it. It would be possible to check if there is any LaCA in the underlying RAW file by using a converter that ignores this profile (such as DCRAW) but I haven’t bothered—since LaCA correction is lossless there’s no point. Axial CA and spherochromatism are the interesting aberrations, since they are very hard to edit out, and are sometimes very unsightly, giving green edges to things behind the plane of focus, magenta ones in front of the plane of focus, and discolouring specular highlights. Here the performance is exemplary. It’s even a touch better than the 2/135 APO Sonnar. It creates a clean, pure look to out of focus areas that is very appealing. Here’s a 1:1 crop of the torture test area right next to the sun, with remarkably little fringing of any kind on the casuarina needles. With a dark foreground, shadows lifted to the max, and off centre, this a very demanding scenario. Just a couple of small artefacts in a line on either side of the sun, and no significant reduction in contrast. The sunstar is not extremely defined, but not bad for a tele. It has 18 points, though in some scenarios the lens produces small 9 point stars, which mystifies me. The worst result is with the sun just outside the frame. But recall that with a tele lens it only takes a very small difference in framing to move the sun away: and it was always possible to move just fractionally and remove the flare. When the sun is higher in the sky it is stronger, and incorporating the sun without any occlusion by clouds or vegetation will always produce a stronger flare. So I took some images of a fairly high sun, unobstructed, with some foreground with heavily raised shadows. This produces some colour artefacts around the sun (sensor reflections is my guess) and a distinct flare artefact in the bottom right area. The shadows here have been raised 100% and the exposure raised over a stop (underexposure was to keep detail around the sun), so it does not reflect normal use! This image also serves to illustrate something else about using tele lenses, even relatively short ones. 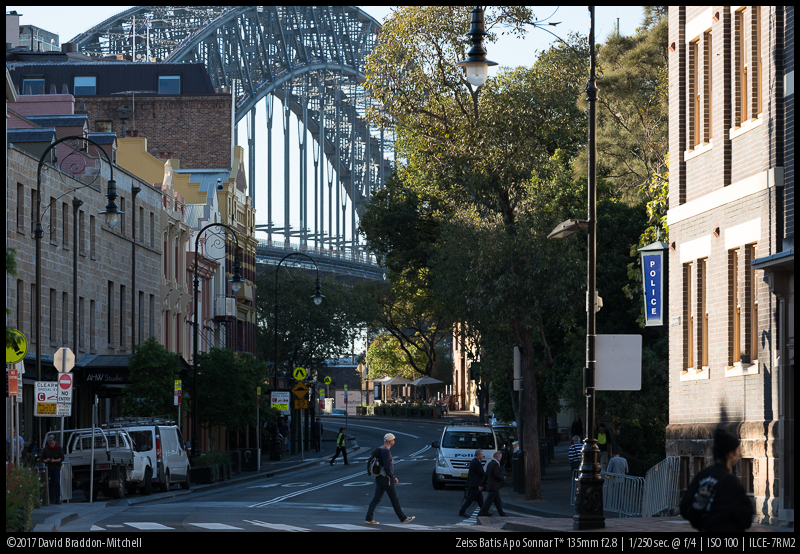 The building is in focus, and is close to a km away, but the bridge behind it is noticeably softer even at f5.0! Some Historical Reflections on the 2.8/135. There were only ever a few AF 2.8/135 lenses made, and they were all back in the very earlier days of AF (Minolta and Pentax made one, and Canon made a soft focus model). There have been no modern designs until this Batis. However the 2.8/135 mm lens was the mainstay medium telephoto in nearly every manual focus system. Why did the industry turn away from these lenses? My guess as to why it happened was that as zoom lenses became better, the role of prime lenses changed. If you could get a good f2.8 zoom lens, customers began to think that to justify the lack of convenience a prime lens had to be very much faster. So since 135mm f2.8 can be had in a 70-200 zoom lens, a prime lens needed to be a stop faster to entice someone to purchase it instead of, or as well as, the zoom. So the industry switched to 70-200 zooms and most made a faster prime 135. But this of course misses two things. The best of these zooms is very good indeed, but there have been people insisting on using fast primes partly for speed but also for the (admittedly subtle) quality advantages over a good zoom, especially when used on modern cameras with very high megapixel count. And there are others looking for a mid tele that is a great deal more portable than an f2.8 zoom or even than a good f4 zoom. So compactness and slightly greater image quality are promises a lens might make to tempt someone away from a big zoom lens. Until this Batis, you could get quality and compactness at the price of dollars, speed and lack of autofocus with some lenses. You could get quality and speed but at the price of bulk and mass with others. But no one offered you this compromise—fairly fast, AF, relatively compact but with uncompromised image quality. The justification for this lens over faster lenses is in part its compactness. As things stand the faster alternatives all have some drawbacks—no AF on the ZE/F Apo Sonnar; LoCA and adapted AF on the Sony-Zeiss f1.8 A mount, and adapted AF on the excellent new Sigma. But in the not too distant future we might expect a Sony G for not much more, with native AF and F1.8 or f2. So why would one prefer this lens over the existing fast lenses, or (if it isn’t urgent) why wouldn’t you wait for the G? If you really need f2 or faster for what you do, that’s of course what you should do. But for many of us the relative compactness is tempting. I paid for this lens because I wanted a fast tele lens, and knew I would never take a 2.8-70-200 travelling, or for that matter my f2 Apo Sonnar. So after the preliminary version of this review was published I took it with me for over a month of travel through Italy, France and Greece, mostly for work, but with a week’s leave. So do I now think that the compactness is worth it (given that it’s pretty much optically impeccable)? Mainly, yes. By ‘mainly’ what I mean is that on part of that trip I was hiking. But I never packed the Apo Sonnar. It stayed at our accommodation when we were doing long days in the mountains. I’m sure there are others that would take it on 10 hour hikes, but here’s one data point from one user. Yes it’s small and light for an optically amazing fast tele. But that’s not small and light in absolute terms. I think that this leaves one niche unfilled: a modern lens a bit like the Leica Apo Telyt. If there a Loxia 4/135 — or even 4.5/135 — I might at last have a hiking landscape tele. But this lens is just a bit too large for that. On the other hand it wasn’t a pain to travel with – it didn’t get me over the hand luggage limit, nor was it too heavy for ordinary use. So I did use it quite a bit on short walks (less than 3 hours) and when driving around and taking little walks to lookouts, or strolling in and around towns and villages. I would never do that (yes I know many of you are different in this regard!) with any of the above mentioned larger pieces of glass. So yes, the lens filled a niche for me. It is, however, an expensive niche; and after rating the images from the trip (on which I took three lenses), only about 12% of the high quality keepers were taken with this lens. Just worth it for me: your mileage may differ. The new kid on the block. Likely as good as the original APO Sonnar at distance, though some reliable reports say that the original APO Sonnar remains preferable at or near close focus. Of course the Sigma has AF with an MC-11 adapter. With an adapter and caps and hood it weighs over 1.2 kilos. The Canon version, which adapts well with the MC-11 adapter, can be had from B&H via our affiliate link. I originally didn’t discuss this one since I have no personal experience of it. But in fact Phillip reviewed it here. Based on that review and the testimony of others it looks like it’s very sharp: quite possibly in a similar league for practical purposes as the modern designs I discuss, and certainly usefully sharper than the legacy lenses. It’s not APO though; and if you don’t like axial colour errors (LoCA) you might have a lot of complex editing to do in some scenarios. It’s also large, heavy (though not as heavy as the APO Sonnar f2) and has limited AF on the LA-EA4. If used manually Phillip found play in the focussing ring annoying. But for lovers of AF it’s the only fast game in town, and cheaper than the Batis. People appear to hope there will be a GM fast 135 in the next year, and if I wanted a fast AF 135 and was prepared to pay the expected high price (at least as expensive as Batis, probably more more, is my guess) I’d probably wait. It will no doubt AF much better than the ZA and probably have much better axial colour correction. One of the smallest 135mm lenses every made – there are similar lenses from about any other manufacturer of the era. I have used it as a hiking lens from time to time. It performs better in closer ranges than at infinity, and at all distances has much less resolution, contrast and colour correction than the Batis. But it is a very useable and tiny lens. Look for a late one that says “Zuiko” rather than E. Zuiko on the lens ring—this is the (very rare) multicoated version. This was my mainstay short tele for many years. It’s a great lens. I could never get it to autofocus on my Metabones III adapter, but I’m told it works well with some newer adapters. It has more LoCa than the Batis, is less contrasty, a bit more flare prone, and resolution – while very high and plenty for practical purposes – is at least on my copy slightly less until mid apertures. Quite sharp but not great contrast or colour correction. A bit heavy for a travel or hiking lens, too slow for some purposes. Very cheap however. On the subject of cheap lenses the Zeiss Jena 3.5/135 was made over many years in huge quantities and trusted people have claimed to me that it’s in the same league as the Leica if you get a decent one. And it can also be found for very low prices. The optical qualities are as Zeiss’ own MTF suggests; impeccable. At every aperture and at every distance it seems to have resolution and contrast that are about as good as can be distinguished by the naked eye staring at enlarged crops. I think it’s safe to say that it’s optically one of the finest lenses you can buy. You can buy it from B&H or Amazon.de (affiliate links). But it is very expensive: so it will justify its price only if it’s not only optically outstanding but also offers ergonomic and handling advantages that make it preferable to larger, faster and cheaper lenses. Especially given that some of those are also among the technically finest you can buy. So in the travelling section I asked the question: when travelling, will it stay in the hotel safe rather than be in the camera bag? At the last minute when packing, will a lighter lens go in the travel kit instead? Would one ever take it on an overnight hike? The answer for me is yes it is a more useful travel lens than the larger, faster ones for me. But also, no I’m not likely to take it on multiday hikes. That makes it for me a keeper; but at the high price only just. Who else is it for? I actually think a certain kind of studio or portrait photographer might prefer this over a large faster prime, or a 70-200. It’s a lot smaller and thus less intimidating to non professional models. 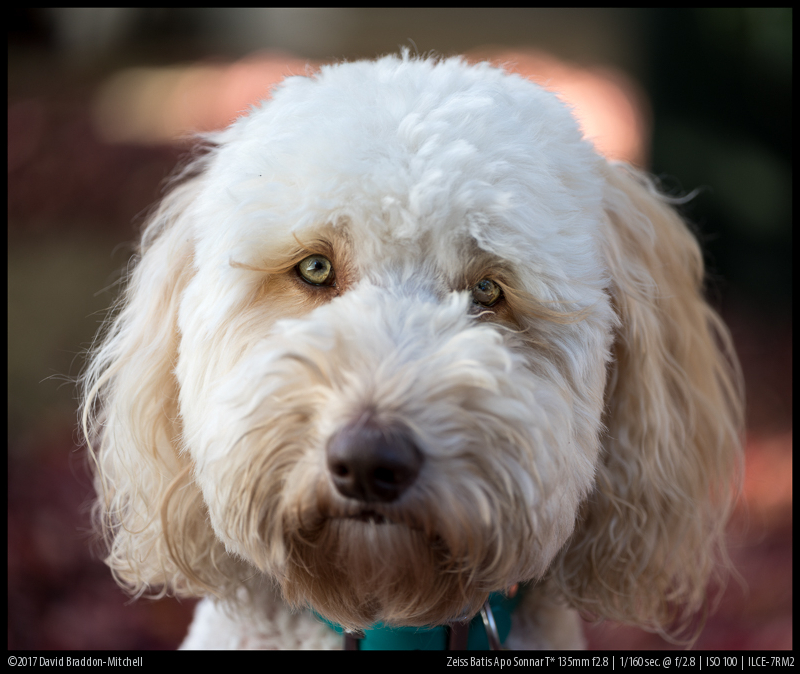 It is superb at full aperture, so there’s no need to stop it down for better performance: and for many portraits the thinner DOF at f 2 is really too thin, except as a special effect. If focusses quickly and with eyeAF. The bokeh is a touch more swirly than an f2 lens stopped down to f2.8, and some have complained about this. But in fact this is inevitable: the only way to make the f2.8 bokeh the same in terms of mechanical vignetting as on a stopped down f2 lens, is to increase the diameter of the relevant elements. But once you do this you effectively have an f2 lens (or one which is as large as an f2 lens and with some redesign could actually be f2). So that is not a flaw in the design: it’s just the consequence of it being f2.8. So do I recommend it? Yes. For travel work it’s a wonderful companion for someone who wants a fast tele and won’t tolerate more bulk. For portrait work, it’s an impeccable lens that’s also a lot less intimidating than the other fast options that are anywhere near its performance. The price is high in absolute terms, but whether that’s worth it to you is something only you know. You aren’t going to be suffer if you don’t own it. But it is a remarkably fine, and for some purposes remarkably useful, piece of glass. You can find them in full resolution here. 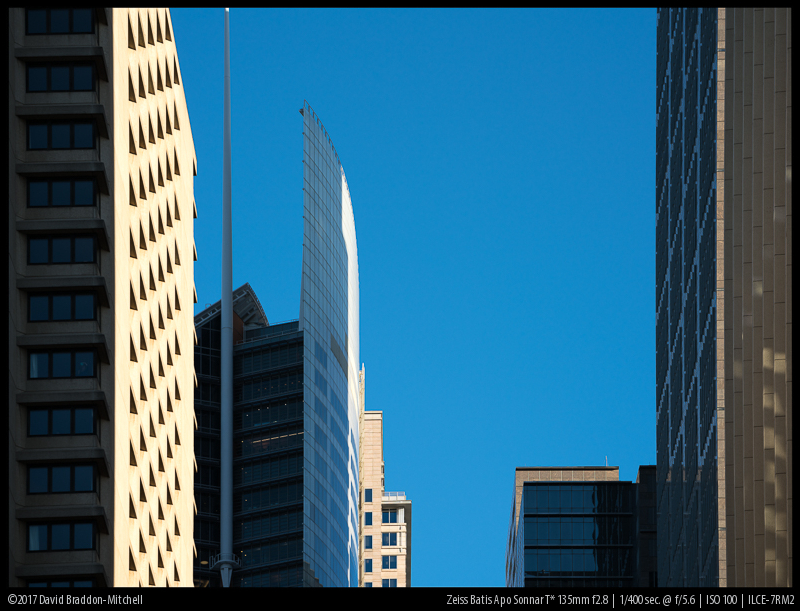 Previous PostSony A6500 vs. Sony A7II comparison – which one is the smarter choice?Next PostTokina Firin 20mm F2 FE Review: A good deal? So you think it is like a non-zooming substitute for a fast 70-200, except that it’s easier to carry? Hmm, thinking of it that way…. I haven’t used it myself, and although I expect it’s very good I don’t want to talk about the lens based only on hearsay. You can though compare the published MTFs – which show a handy advantage for the Batis at all apertures but especially wide open (at a more than handy price premium, of course). This is also my 135mm and I’m very happy with it. Minolta 135/2.8 is even lighter and smaller – but no comparison to the Contax wide open. I used and tested many 135/2.8: Leica R, Pentax A, Pentax FA, Minolta MD-III, Yashica ML, Nikon AI. They are all very good, but the Contax Zeiss 135/2.8 is the best. 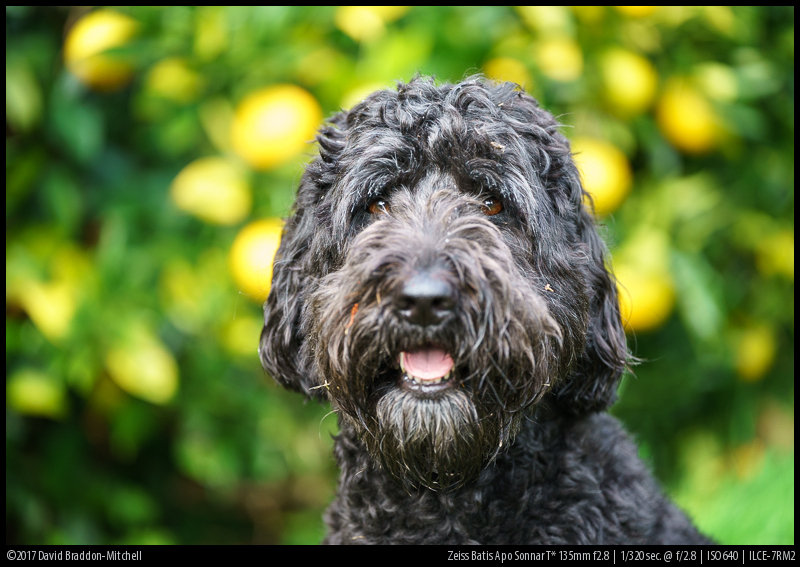 For example, I took the same photo with the Nikon and the Contax Zeiss at f/2.8, enlarged it on my 27″ monitor… I couldn’t believe how much more details the Zeiss gave me near the edges of the photo. Thanks for the great review. I have the 135 F2 Apo Sonnar, and I think I’m keeping it. People say that this Batis price is justifiable compared to the Milvus version which lacks autofocus. I don’t agree with this claim. There’s a world of difference between the Milvus and Batis build quality. The Batis lenses are just OK, and they feel like hollow aluminum bodies, while the Milvus (and Loxias) feel like bricks. I had a Batis 18mm that got several dings by getting hit by a Loxia. My Batis 25 failed completely for no reason (and was replaced by Zeiss under warranty). Batis lenses are light weight, but the build quality is a compromise. They also have aspherical elements that make the bokeh look busy in some situations. The longer the lens is, the less need for aspherical elements there is. The tipping point seems to be around 85mm at the moment. Nikon managed to build their AF-S 85mm 1.4G without aspherical elements and still achieved great sharpness across frame wide open, but for further “enhancements”, especially regarding color correction, aspherical elements were necessary (see Sony 85 1.4 GM, Zeiss 85mm 1.4 Otus, Sigma 85mm 1.4 Art). 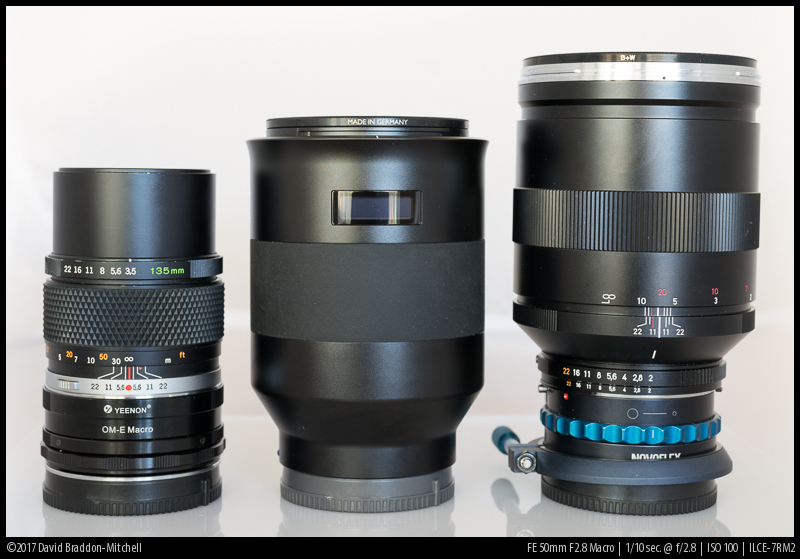 The longer Sigma 135mm 1.8 Art on the other hand does not feature aspherical elements as well as the Zeiss 135mm 2.8 Batis, Zeiss 135mm 2.0 Apo-Sonnar and Canon EF 135mm 2.0 L USM. I agree that Loxia, Z* and other premium MF lenses with smooth helicoids are a greater pleasure to use for fun than any AF lens; whether that’s exactly the same thing as build quality is something I’m not sure of. I don’t know of any AF lenses with obviously better build than Batis designs, however. But to really know (rather than guess from the outside) we’d need someone like Lensrentals to share with us their repair data. Having said that I’ll engage in some guessing from the outside: the Batis 135 has a more solid feel than the previous ones. It may just be that it’s heavier or denser, but the casing material appears a bit tougher. The Zeiss Planar 85 1.2 (c/y mount), was made without aspherical elements, too. I’m surprised that some people seem to believe that aspherical elements can improve the correction of chromatic aberration in a lens: they can’t, at least not directly. Don’t forget the Sony A-Mount 135 1.8. 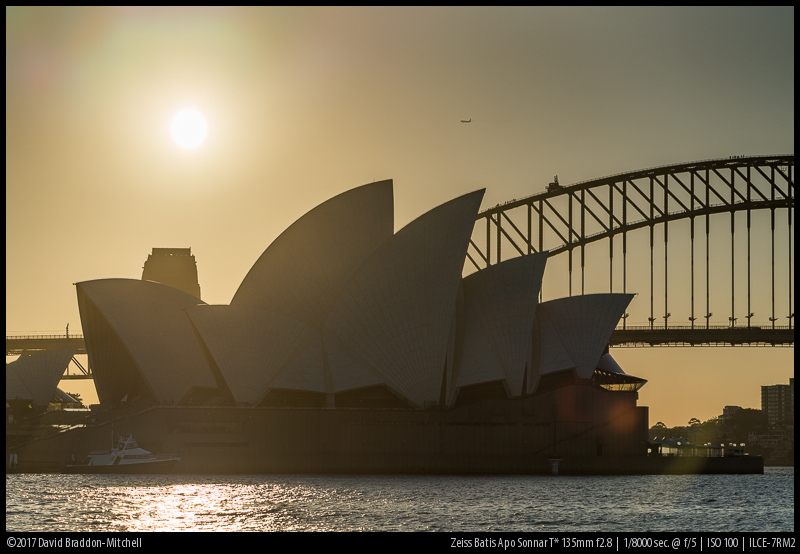 Its optically superb and works well with the LA-EA4 on the A7r II. I also have the Zeiss 135 2.0 ZE and the Sony comes close. I agreed with previous comments on the Batis series as a compromise between portability and optical design. 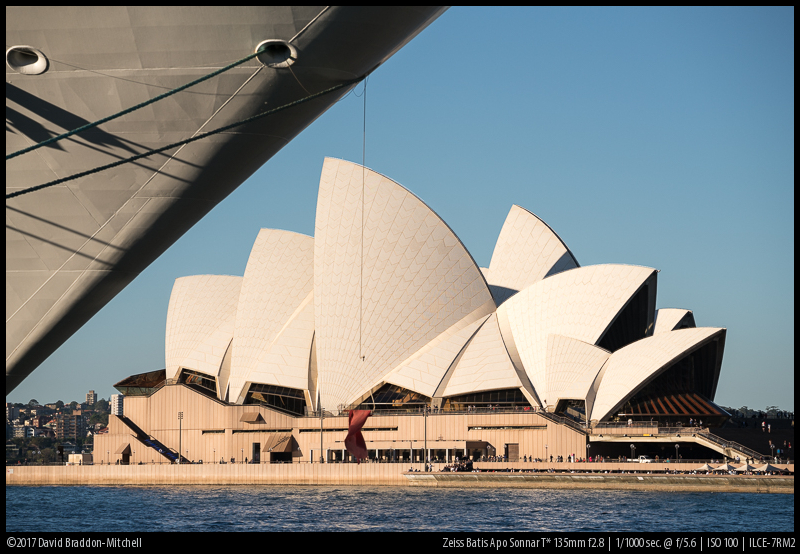 Zeiss achieves this using an aperture that’s less wide and using in camera correcting for distortion. 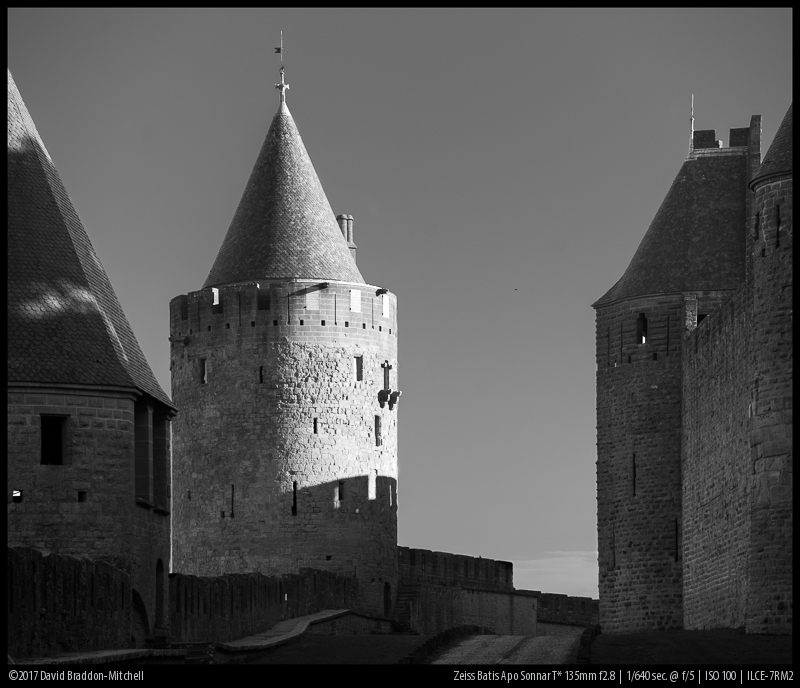 Not so for the Zeiss classic, milvus or the Sony 135 1.8 which are are almost distortion free. I’m a little puzzled by the price for the Batis 135 considering this. Pricing decisions by companies are often hard to fathom; but comparing this lens to say the 85 in terms of complexity and amount of fancy glass it’s much more complicated. And while it compromises on distortion a touch, it’s a state of the art reference lens in other respects (not something that trades off optical qualities for compactness). That doesn’t make it worth the money automatically of course, that depends on your needs and budget. 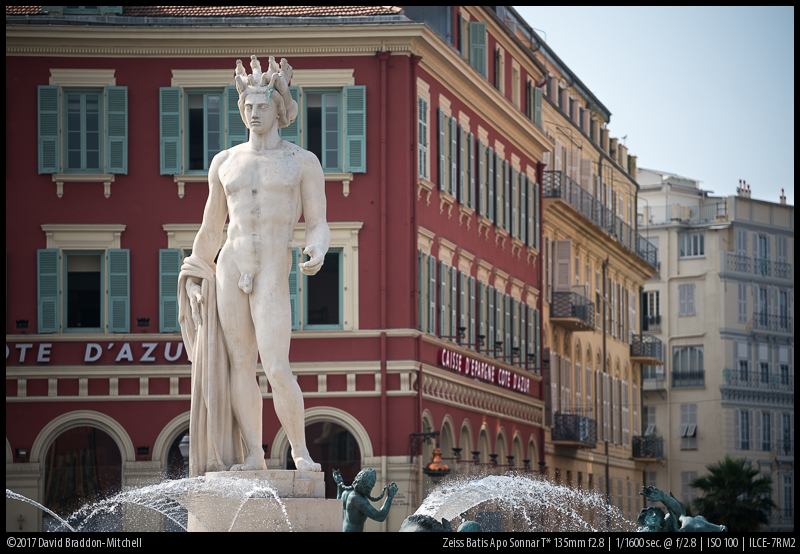 Since you have all 3 135mm’s together are you planning to shoot the same scene with them – like the sharpness test – so that we can directly see what you refer to in the text? I was a Canon shooter for over 30 years and repurchased the Canon 135/f2L just recently. It’s used on a Sony a7r2 with a Sigma MC11 (I too struggled with the Metabones). AF is rapid and it cost me $700 for a mint condition used lens. Bokeh, color, contrast are all superb. In fact it’s so good I purchased a Canon 200/f2.8L as well. Many thanks for that good review! Nevertheless, I regret that you didn’t compare it to the Zuiko 135 f2.8. The comparison would have been fairer: is there really a need for a modern design and AF on those medium teles? I own this lens and never really achieved to get really exciting images from it. I would be glad to see what a good photographer can get from it. If you want to test it I would be happy to send it to you for some weeks. It would be my little contribution to this great blog! Hi Arnaud. 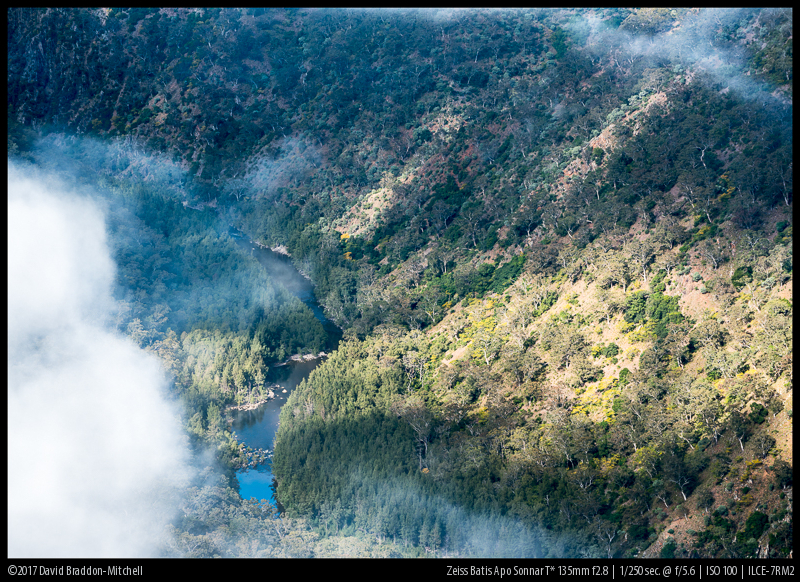 There are a couple of reasons I didn’t compare it with the Zuiko 2.8/135. The first is I haven’t used one since 1988 and I don’t have one to compare! And of course we can’t compare with every legacy lens – there are lots of classic 135 lenses out there. The other is that in terms of where the Batis fits in to our decisions about glass I was trying to think about how to compare a lens of its class with classes of lenses that have *different* advantages. In other words larger, faster lenses (2/130 APO Sonnar and Sigma were mentioned, the 1.8/135 ZA is another that springs to mind but I haven’t used it) and smaller, more compact lenses (of which the little 3.5/135 zuiko is an example). 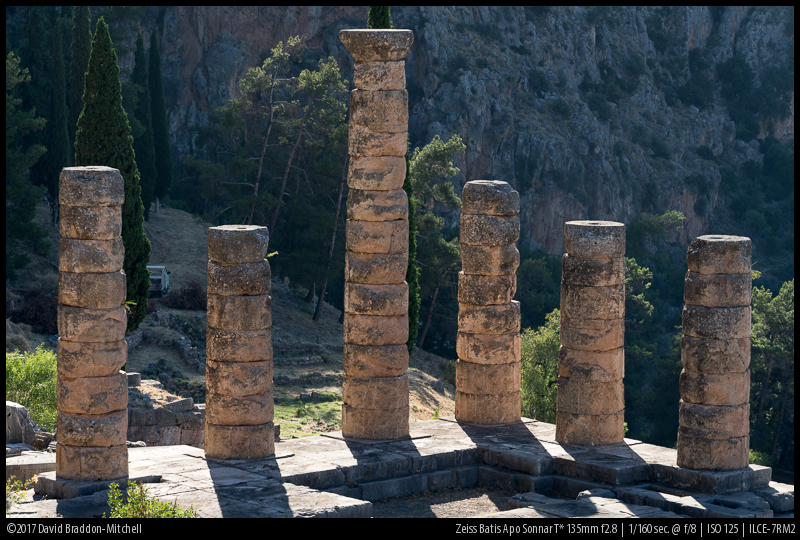 I wasn’t trying to compare the Batis with other 2.8/135 lenses. Partly because there are no modern 2.8/135 lenses to compare it with! So if you want a modern 2.8/135 there is no choice. of course there are lots of legacy ones, of which the Zuiko you mention is a good example. But you don’t need me to show you crops that reveal than a classic five element in four groups 2.8/135, as most of them were, is a bit less sharp in the periphery than a 14 element all stops pulled out modern lens, and has much more chromatic aberration, especially LoCA. That pretty much goes without saying. That doesn’t of course mean that classic lens isn’t good, and also doesn’t mean that given your budget or needs it mightn’t be the right choice. 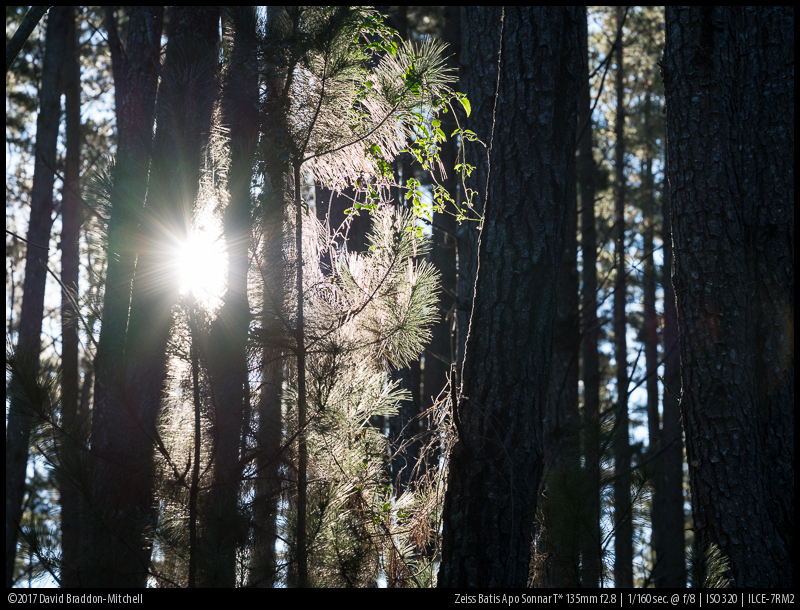 I have compared the ZA 1.8/135 to a Minolta MD 2.8/135 in the past. I am quite sure that the Minolta is one of the best classic 135mm lenses but the ZA was noticeably sharper across the frame at f/1.8 than the Minolta at any aperture! Not that the Minolta is unsharp but demonstrates the level of excellence modern 135mm lenses can reach. My first thought was, when I saw the price tag of the Batis 135: Instead of the Zeiss Classic/Milvus APO 135/2 the older and rare Voigtländer SL Macro APO Lanthar 125/2.5 would be interesting to benchmark. Compared to the Zeiss SLR-Lens, the CV is tiny and it’s APO-Tag is close to perfect. Compared to the Batis, the over hyped prices of the Lanthar are comparable. In EF- or A-Mount it’s even possible to use it with electronic coupling on Sony E-Mount. Although I own a 4/180 APO Lanthar in M42 mount (a lovely and useful lens, but not nearly as contrasty as the Batis, and not as good in the far corners either) I’ve never had a chance to use the fabled 2.5/125 for ages – and I doubt if I ever will again at the prices they go for. Maybe one day CV will produce a modern lens of that kind – if they sold it for similar money to the second hand prices they’d still be making decent margin! I’m a Nikon user who is not in the market for a 135mm lens right now. But I found this review quite interesting and informative. If I decide some time in the future to add a 135mm prime you can be sure I’ll be pulling this out and reading it before I prepare any list of must-have/must-not-have/would be nice etc. conditions 🙂 . Schönes Review 🙂 Aber beim Samyang als Negativpunkt das Gewicht aufzuführen, wird dem nicht gerecht. Es ist in meinen Augen der Preis- Leistungssieger aller 135er Linsen. Und das sage ich obwohl ich mein Herz an das Sigma 135 Art verloren habe. Weil, ja weil es meine beste Linse im direkten Gegenlicht ist. Das Samyang wiegt 1/3 Batis extra, kann bei der Qualitätskontrolle und der Wetterbeständigkeit nicht mithalten und hat kein AF. APO ist es auch nicht, es ist eine völlig andere Linse wenn auch gleiche Brennweite. Well the Samyang is better corrected for CA than the Zeiss APO 2/135: http://www.verybiglobo.com/zeiss-apo-sonnar-135mm-f2-zf-2-review/2/ so it would be fair to call it APO. In the other aspects both of you agree I think. I had the 135 1.8 for about 6 years. I went all over Scotland with it, a 500 mino reflex, samyang fisheye, 16-50mm 2.8 Sony and 50mm 1.4 Sony. The weight isn’t all that bad. I’d still take the 1.8 over the 2.8 and I eagerly await the GM f2. Until then may I suggest the 75mm 1.8 Zuiko. I get it’s not a system covered here but It’s truly fantastic. I’ve shot it side by side with the 135 ZA and it doesn’t give up much. For that lens, I think its worth giving up ultimate shallow depth of field when your going for lite and compact. 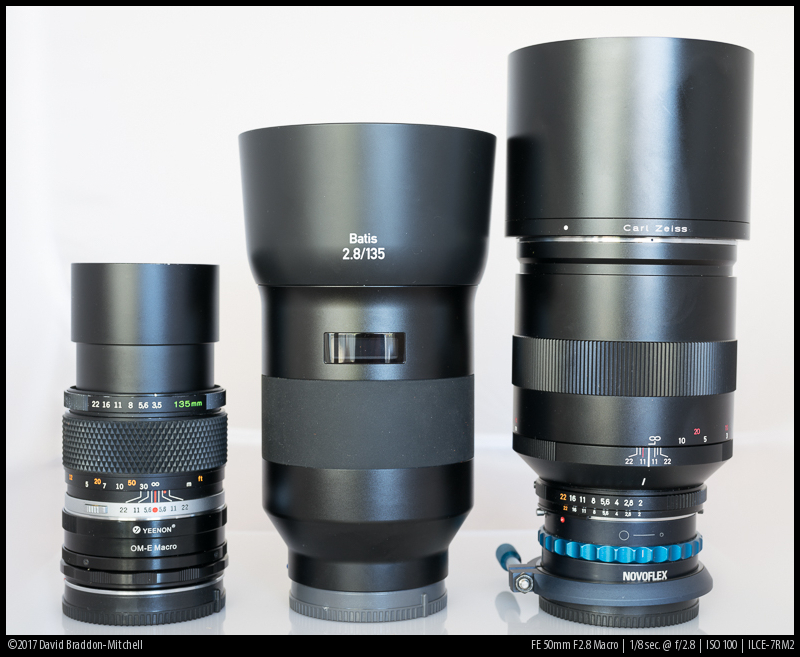 For everything else…give me the heavy zeiss! Nice review, this Zeiss looks like a hell of a lens. And, although I agree that the best alternative (IQ wise) is the Canon L, I also used (and loved) the Nikon 135 f2 DC. It’s an old design, built like a tank, and it delivers superb images. Getting a decent AF on Sony cameras with Nikkor lenses is a different matter, though, but you can always use it as a manual lens with a dumb adapter. Just a heads up, the affiliate link for the Sigma brings you to the Zeiss product page. I have several 135mm f2.8 / 3.5 lying around the house. For some reason, I find them useful in many ways. Surprise: the best one is a mid-eighties Jupiter 37A soviet Sonnar clone 🙂 Then a Minolta cheap 135 f3.5, followed by another Minolta 135 f2.8 (early version of it, pre-mc) and dead last is a despicable CZ Jenna 135 f3.5… Coma, soft, hard to focus: this one has everything to hate about a lens… Maybe I could use it as a door stop? That CZJ is a real mystery to me. Some people swear by it, others made a similar experience as you. And I don’t know of a well documented review. I tried some 135mm lenses. Leica-Elmar 4/135mm was sharpest but with bad colours. CZJ 3,5/135mm was so lala , not very impressing. From my Canon equipment I tried EF 2/135 L, which was not bad, but I got very strong CA´s with that lens. With Metabones V4 it works with good AF on a7II and A7RII. I also tried EF 2,8/70-200L MKII which was great but heavy. I was still hoping of a better lens for landscapes, light but with extraordenary good image quality. I bought the Batis a few weeks ago and wow! that´s the lens I was waiting for! With Batis 18 and 25, Sony/Zeiss 55 and the A7RII it will be my future travel kit! This review “clinched” my decision to obtain this lens. Before I did so, my local favourite camera store offered me the opportunity to try and two others. 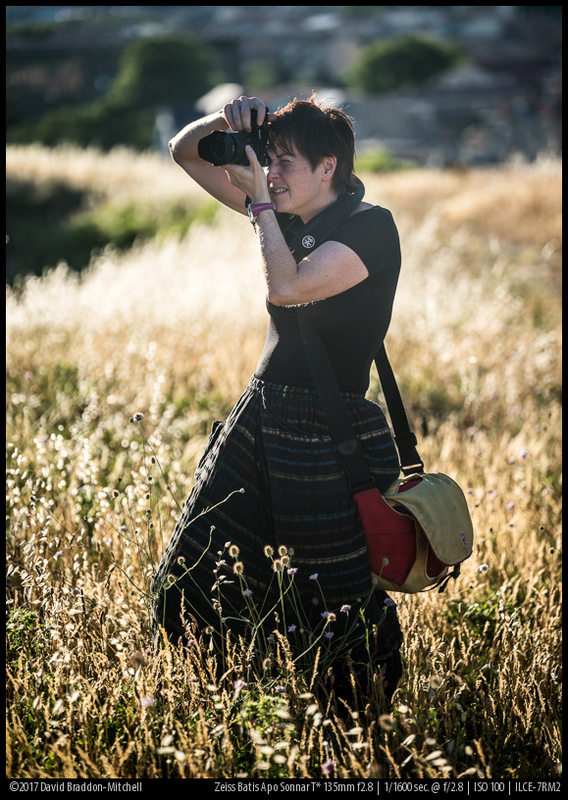 Among them was the Sony FE 85mm f/1.8–it was nice, and much cheaper, but too close in focal length to my FE 55mm and, clearly, not near the Zeiss in IQ terms. They also had an open box Sony 100-400mm f/4.5-5.6 on hand for a discount (although the best local opportunity of all came up in early November, when Sony was selling them for C$2799.99 during a camera show in Toronto). Yes, beautiful and relatively fast (on the A7Rmii), but also I would never carry around regularly. Anyway, after thinking about it for months, I decided that this Zeiss 135mm was “the one” for me. I’ve had it just a few weeks now, but I already love the quality of the photos it can capture. 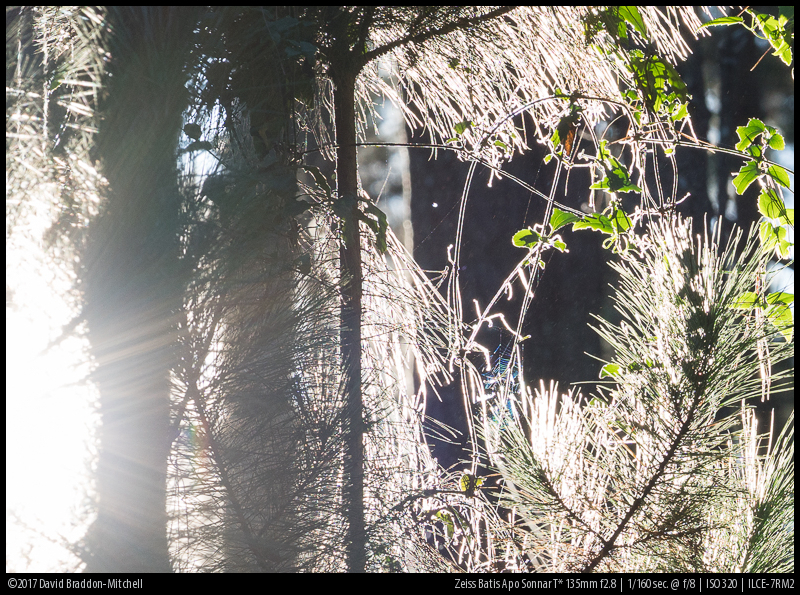 The bokeh is just as David Braddon-Mitchell suggested–beautiful. 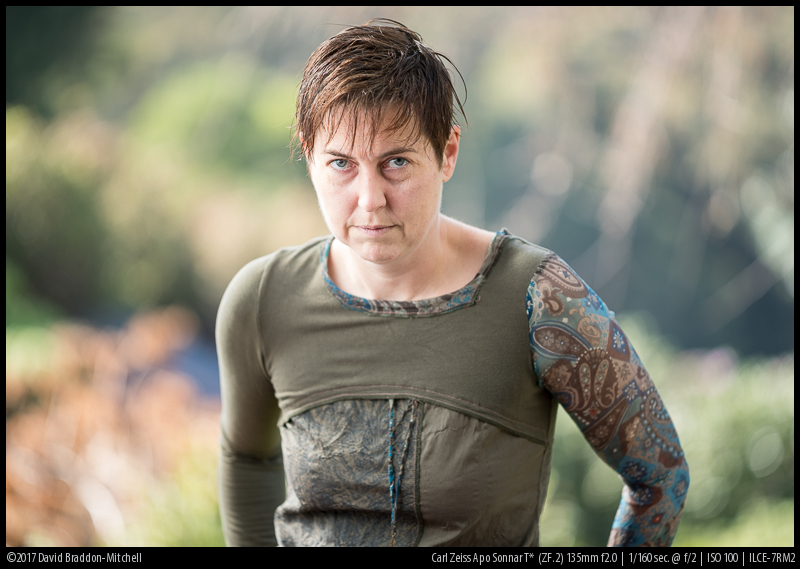 Dissolving backgrounds from a distance when taking portraits has also been easy. Thank you for helping to steer me in the right direction. PS: The recent price reduction from Zeiss made my decision easier… C$400 less than the price when the lens was first introduced. Excellent review. I have a question, do you have any AF issue when focusing at infinity? My copy seems to focus a bit past infinity, and this affect the sharpness of the image. No. It will manual focus past infinity, but when I used AF on things actually at infinity it would reliably and repeatably focus on them. 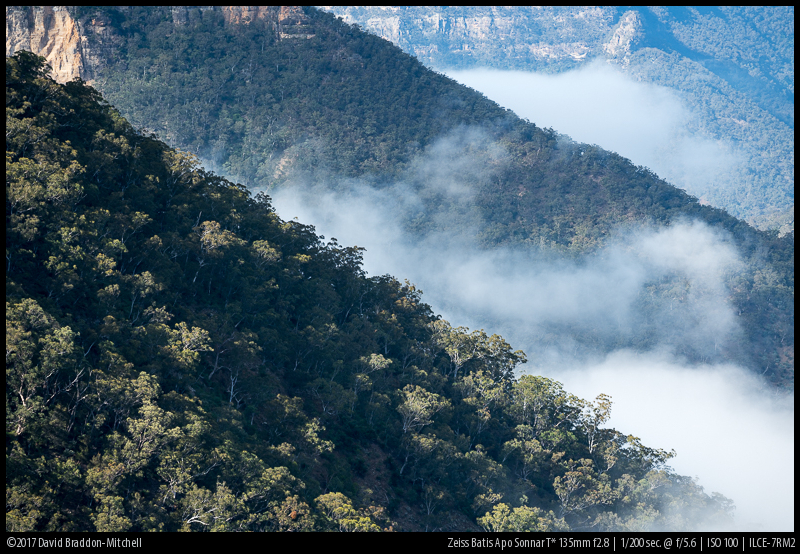 With a 135mm lens things at infinity are often a bit soft due to atmospheric issues, even in clean air. Is it possibly that you are seeing a slight loss of sharpness because of that? The OLED distance calibrator is not very accurate or repeatable, so if you think you have focussed past infinity because of that it’s very likely not the case. But if none of my suggestions is what’s going on, then there is a lens or camera calibration issue, but these are very rare with mirrorless, because the usual causes of them don’t exist. First, thank you for the review. I thought long and hard about buying this lens and in the end decided to make the purchase. I already owned the other three Batis lenses so I am a fan but I value having lenses that share the same ergonomics, color, and design philosophy. I do also have the Canon 135/2 that I have adapted now and them but bought this anyway since for me a 135 has a lot of advantages over a 70-200mm f/2.8 (own the Canon one but not yet purchased a Sony GM version). Luckily I got it when it was discounted in the US and that put me over the edge. I have not regretted it. I’m willing to accept a stop slower on the Batis lenses compare to f/1.4 or f/2 for the reduced size and weight. Thanks so much for your time and effort to product such a comprehensive review. Thanks for your detailled review! I just reveived my new Batis 135 and find your statements exactly meeting what you get with this remarkable compact and light lens. 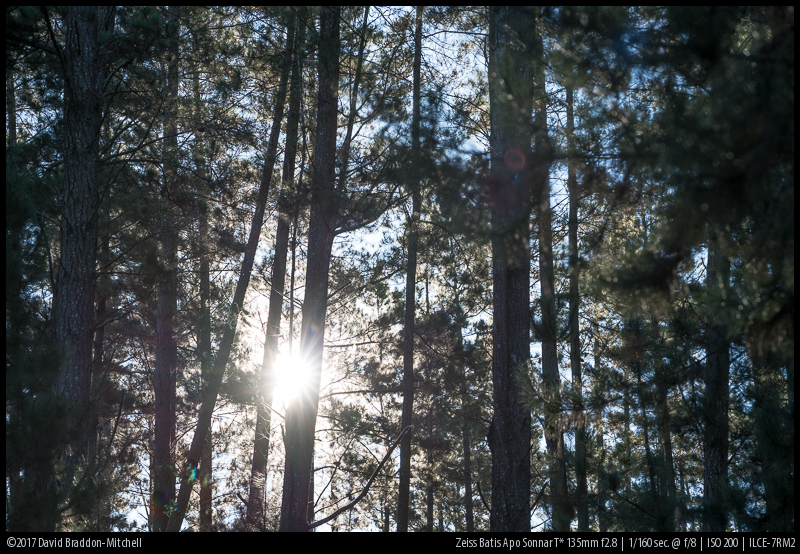 As an owner of the Apo Sonnar 135/2.0, I could take some shots in comparison. My personal result: in terms of IQ the „old“ 2.0 is one class better at 2.0 than the Batis at 2.8, under every aspect. So, it‘s fine (although expensive) to own both: the Batis if quickness or weight matters, and the Apo 2.0 if you look for ultimate quality. Interesting. That was not quite my experience of the comparison (I too have both). Of course the f2 is very beautiful at f2 in a way that the Batis can’t be, and it is very good in every other way…but in terms of sharpness (which of course doesn’t really matter when both lenses are as sharp as this) my Batis was slightly ahead, as well as in terms of LoCA. 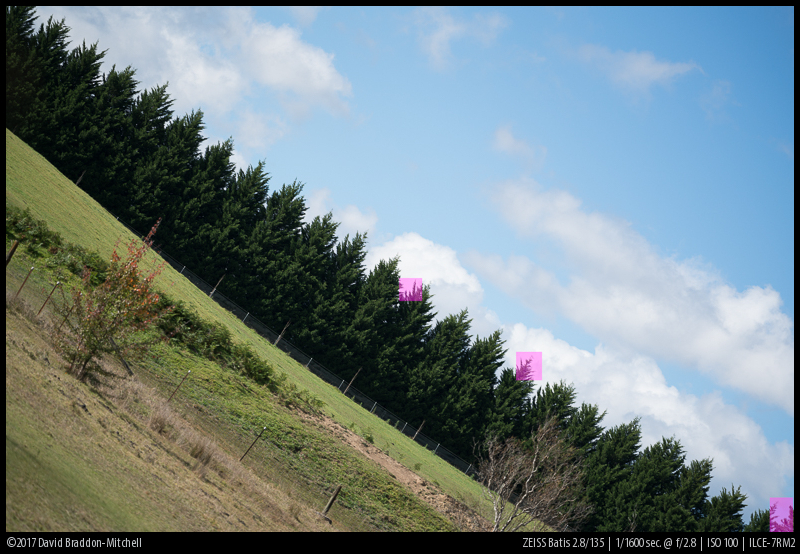 When both are at f2.8 I found them extremely similar, the f2 has slightly rounder bokeh balls and a bit less OOF contrast. The Batis (wide open) was just as sharp. Basically it seems to me choosing between them shouldn’t be based on tiny IQ differences, but whether you want F2, whether you want portability, and whether you want AF. Having both is an indulgence, but but does give you best of both worlds – f2 for creative effects, and the Batis for eye AF portraits and travel. If the IQ is nearly the same – as it is by you experience – IMO there is no reason to stay with the really heavy and MF 135/2.0, plus extra adapter. Even not for the little bit of nicer bokeh. Every time I’m using the 135/2.0 on my A7 I fear a bayonet-breaking…. Fred Miranda has posted comparative crops at his site, which show pretty much the same results I was getting. The Batis is definitely slightly sharper at infinity. They are similarly sharp at closer distances. The bokeh of the F2 is a touch better at f2.8. Of course samples do vary, even among Zeiss lenses. Would this lens suitable for documentation (journalist) and stage shot? It’s a great all round journalistic lens. For stage work it’s very good, but that’s one of the places where the extra speed of an f2 would be very useful, albeit at considerable cost in size, weight and dollars. I felt in love with the Batis after the first some 10 shots and after studying its MTF. I continue to be amazed by what details in terms of resolution and color fidelity I am getting with this lens even though it is only attached to a Sony A7ii, I admit it deserves a better sensor. I will hold on to this lens for the rest of my days. It is a pure joy to work with it. I’m glad you enjoy it so much. I think of it as a classic, unlikely to be equalled. In part because it’s such a good idea – an impeccably good 2.8/135 that is, while a bit bigger and heavier than classic, less perfect, designs, nonetheless much lighter and smaller than either f2 class 135mm lenses, or f2.8 70-200 zooms. I have no doubt we’ll see plenty of those lenses. But I never plan to carry such lenses any distance. And I doubt if anyone will try to compete in the 2.8/135 category, so I foresee the Batis staying in my my camera bag for many years. Would be interested in seeing how you find the Sony 135 rendering in comparison to the batis 135 etc! Yes it would be good to do that comparison. I don’t plan on getting the GM 135 myself great though it seems – I travel with the Batis, and for occasional use around home I’ll stick with the Classic APO Sonnar,but Jannik does, and I think he still has a Batis 135 so we may well see a comparison! So the newly released 1.8/135 GM is only slighly higher priced at 1900USD (probably means >2000EUR).